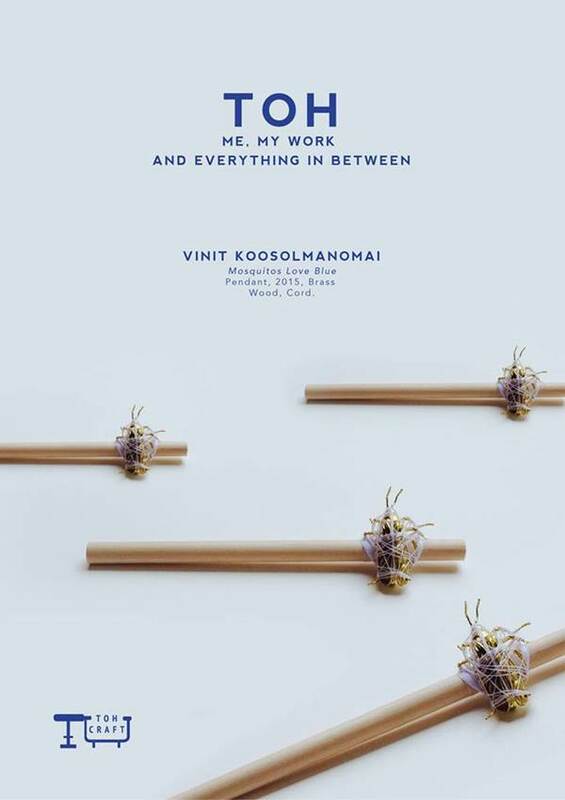 TOH Craft presented its first group exhibition at ATTA Gallery :"TOH : ME, MY WORK AND EVERYTHING IN BETWEEN" by Vinit Koosolmanomai, Prayut Sirikul and Panjapol Kulpapangkorn. The interesting thing about the connection between ourselves and the work we created is that it communicates our thoughts and stories, and is as much a “part” of the artwork we created in terms of our experience and our ways of life. This exhibition “TOH : ME, MY WORK AND EVERYTHING IN BETWEEN” aims to find a common ground between the three artists and to use the same physical space in order to communicate their stories through their work of contemporary art jewelry.